Creative Sound BlasterX G6 Review | Nerd Much? 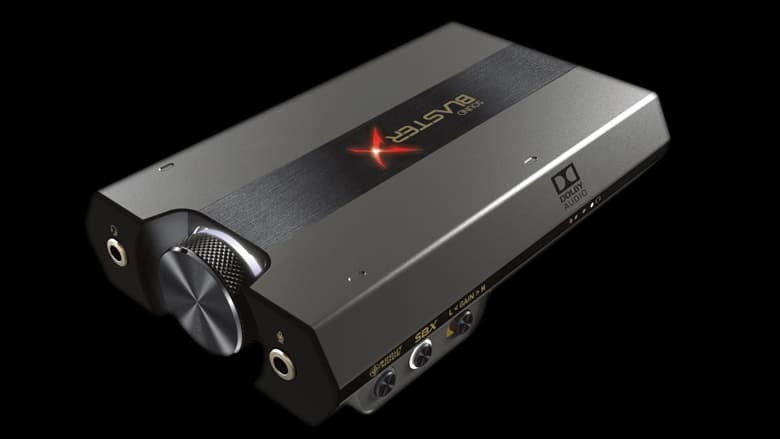 (A Sound BlasterX G6 review unit was provided by Creative). Whether you’re an Xbox, PlayStation, or Nintendo fanboy, there’s one thing we can all agree on: all three of the latest consoles from the big three are quality consoles. In fact, it’s safe to say that this generation of consoles has helped skyrocket gaming’s popularity. And while the consoles, themselves, tend to be super advanced along the lines of graphics, social capabilities, and UX, one thing each console lacks is impressive sound quality. That’s where the Creative Sound BlasterX G6 comes in. It’s a hi-res gaming DAC and USB sound card that’s intended to provide an instant boost to the sound quality of your games on the Xbox One, PS4, PC, and even the Nintendo Switch. But does it do that, or is this just another frivolous console accessory? The Sound BlasterX G6 actually does provide a noticeable boost to sound quality, and the best part about that boost is that it’s noticeable whether you’re using your favorite, high-quality set of headphones, studio monitors, or a cheap pair of earbuds. It was quite a surprise, to be honest; I wasn’t expecting the device to do much of anything for me. But the pocket-sized device packs a punch, and it creates a noticeable uptick in sound quality on all devices. Essentially, what the G6 does is amplify the two audio channels, left and right, individually, where most standard gaming headphones only amp both channels together, which means the audio mix isn’t as clear as it could be. It sounds advanced, but it’s really not. And what the Sound BlasterX G6 does best is make it so that it works right out of the box without the need for tweaks or calibration. I tried the device with each of my gaming consoles at home: the Xbox One X, the PS4 Pro, the Nintendo Switch, and my custom gaming PC. There weren’t any setup problems with any of the devices, and in mere minutes, I had the G6 up and running with each. The most noticeable difference comes when you switch on the Scout Mode on the device, which makes small noises like footsteps and reloading guns sound much clearer and louder, allowing you to more easily locate the precise position of your enemies. SBX mode also provided a great boost to sound, although it was more appreciated while watching movies or playing more cinematic-heavy games than playing more action-packed FPS type games, as it adds a more cinematic surround sound quality to your sound experience. The physical device, itself, fits right in with your consoles. It looks like a mini flask with a rubberized bottom – only slighter fatter and shorter than most average USB powerbanks nowadays. It has a slightly rubberized bottom so that it stays in place, and the X on the top of the device illuminates red when it’s plugged in. It has mic/headphone jacks on one end, and on the other, Optical Line in/out and a micro USB port. On the side of the device are two buttons (Scout and SBX Mode) and a switch (Low to High Gain). The packaging also includes an optical wire and a micro USB to USB plug. Of course, our biggest gripe with the G6 is our biggest gripe with anything that requires wires in the living room: the wires aren’t long enough, and we wish there were a wireless solution. We have the same issue with all of the wired controllers; the cords don’t reach the couch in our big living room. On top of that, at a $150 price tag, we have to question whether or not the boost is worth it. 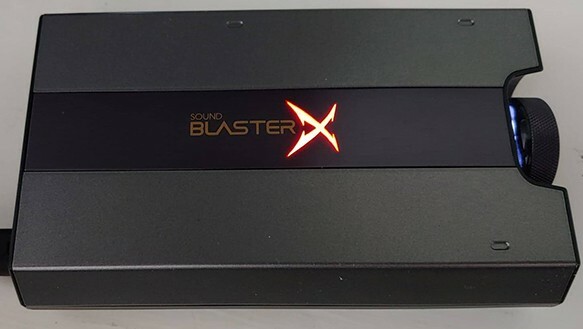 If you’re an audiophile or competitive FPS player, you’ll likely find that the Sound BlasterX G6 is well worth the price of entry. But, if you’re a casual gamer who doesn’t want to drop another $150 on an accessory for your console that already cost you $299 then it’s probably not a good fit for you. However, if you already own multiple consoles, and you factor in that the G6 works with all of them, there’s a small bit of added value for you there.